Blood vessel tumour. 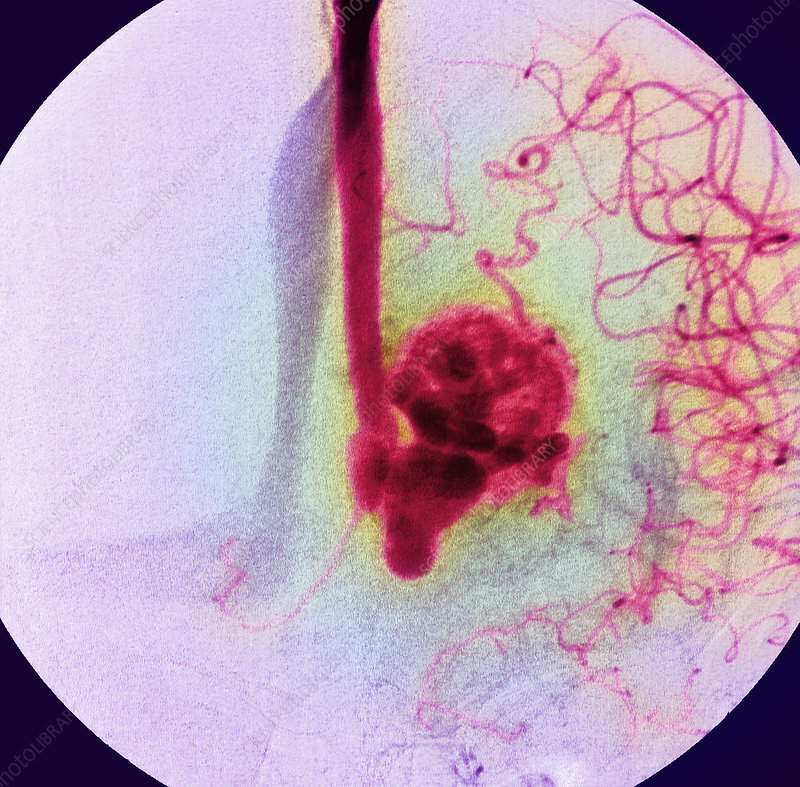 Coloured angiogram (X-ray) of an arteriovenous malformation (AVM) or arterio- venous angioma in the brain of a 21-year-old man. This type of benign (non-cancerous) tumour (centre) is formed from a clump of distended blood vessels. It may compress the brain, resulting in epilepsy, or cause a haemorrhage if a vessel bursts. For these reasons, the AVM may be surgically removed or destroyed by radiotherapy. The blood vessels have been injected with a contrast medium so they can be seen on the X-ray.